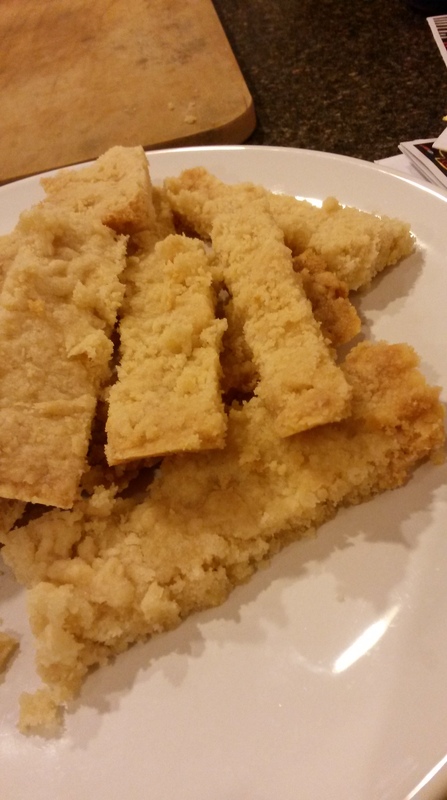 A while ago I tested a historical recipe for shortbread. It wasn’t exactly a success. Time to fix that. This is a fairly traditional English recipe that works well with American ingredients. 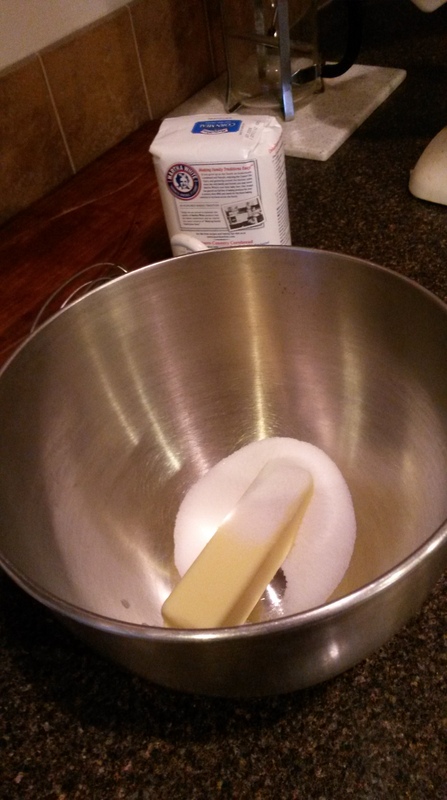 Take 1/4 pound (1 stick) butter and 4 tablespoons of sugar. You could use margarine, but butter really is best for this. 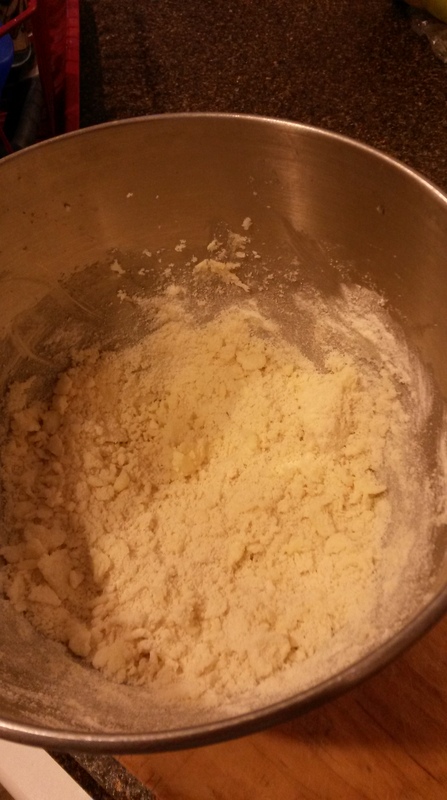 Press into a pan, about 1/2 inch or 1cm thick. You can prick this with a fork, but it isn’t necessary. 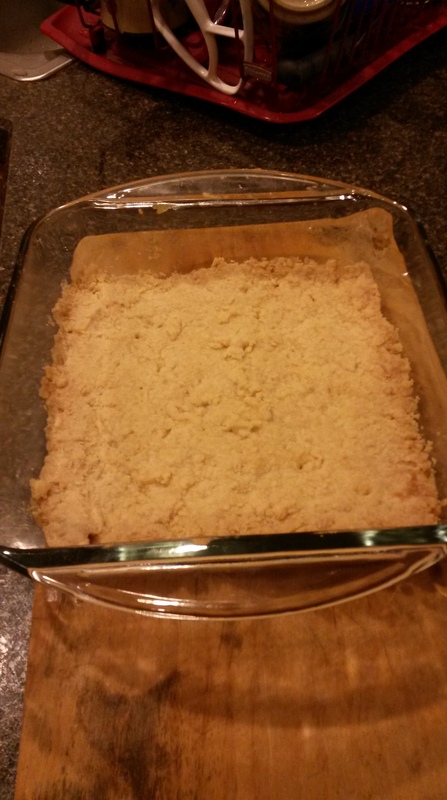 Bake it for 1 hour in a cool oven (300F or 150C). The edges should just be turning brown. Cut into shapes while hot (it will be very soft). Let cool and remove from the pan.